Deforestation in agriculture accounts for 60% of global land degradation as well as about 30% of all man-made carbon emissions. With increasing human population, trees around the world are cleared everyday to make way for agriculture in fertile lands to meet the increasing food demand. Agroforestry provides a crucial bridge between agriculture and maintenance of forests and trees in our landscapes. Practices such as Farmer Managed Natural Regeneration have restored and transformed large portions of deforested land. The re-greening of the Sahel really began when innovative local farmers rediscovered simple and low cost ways of improving the land, and was supported by government and non-governmental organizations. 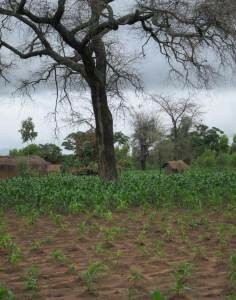 There is great potential to scale up the Sahel experience through empowering rural communities to develop their own programs and action plans the management of trees on farms. Outside agencies and donors have a role to play in supporting these efforts through research, policies and markets. The enforcement of the farm forestry rules which advocates the integration of trees in farmlands for up to 10% tree cover has seen agroforestry as the new frontier to address these issues in Kenya for example.